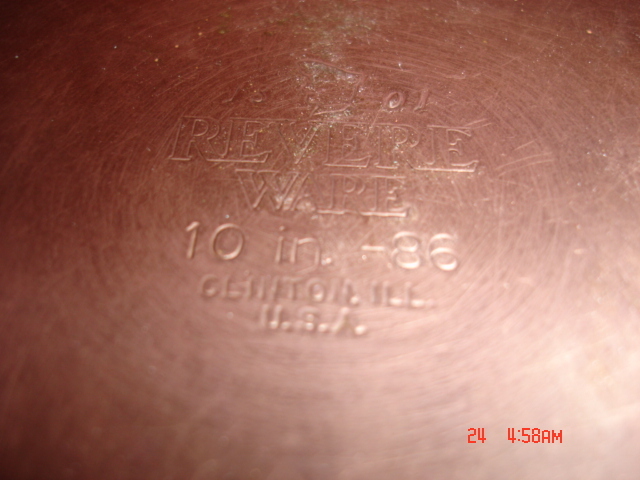 Revere Ware Parts :: Interesting :: What is this called? 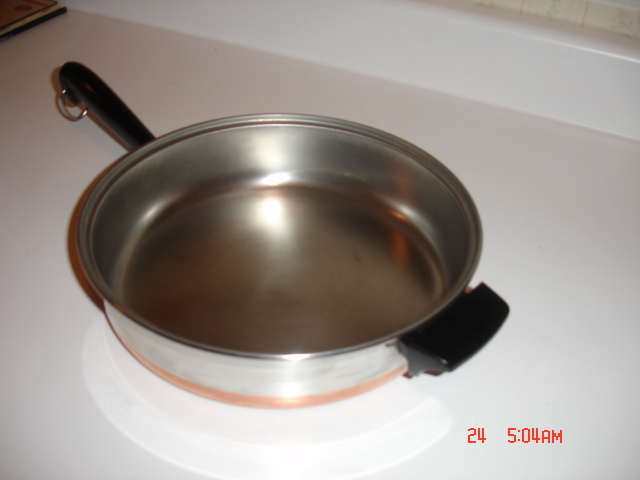 A customer recently send us these photos of a skillet with extra handle and domed lid, wondering what the official name for this piece of cookware is. If you know what this is called, please let us know in the comments or email us here. One Response to What is this called? That is a “chicken fryer” . Because of Revere’s normal habit of multiple use parts, you would think that the lid is the same as the dutch oven. It’s not. 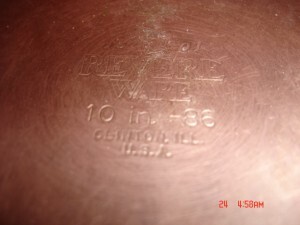 This lid is about 1/4″ smaller in diameter. 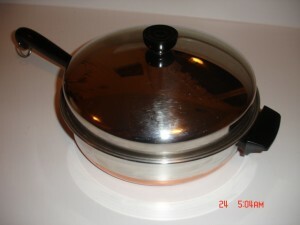 I believe that’s why you see so many on ebay with the traditional short lid.